The four recipients of the 2017 MPA APSA Academy Film Fund were announced last night at the 11th Asia Pacific Screen Awards in Brisbane, Australia. The eight year of the fund has now awarded 32 grants to Asia Pacific Screen Academy members for films in the script development stage of production. 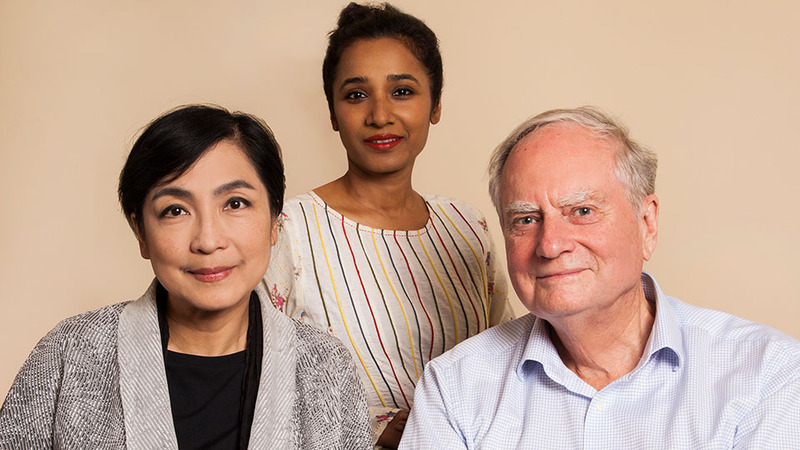 This year’s recipients were judged by distributor, director and historian Andrew Pike OAM (Australia), actress and former APSA host and jury member Tannishtha Chatterjee (India) and APSA-winning producer Alexandra Sun (People’s Republic of China). SYNOPSIS – The war in Kashmir, seen through the eyes of psychologically damaged children and the staff of a psychiatric hospital where there are 5 doctors for 45 thousand patients. CITATION –A mental health doctor with 45 thousand registered patients responds to the devastation of warfare in Kashmir. With unexpected elements of magical realism, this innovative and hard-hitting drama by Indian director, Suman Mukhopadhyay offers a unique insight into the psychological damage of combat. SYNOPSIS – Based on a best-selling children’s book by Alison Lester, this film offers a tapestry of stories that connect children with nature, presented by 10 of Australia’s leading animators using a remarkable range of narrative styles and techniques. CITATION – An extraordinary assembly of some of Australia’s finest screen animators, providing a refreshing discovery of the wondrous natural life of the sea shore, seen through the eyes of children.. The film is a superb project from one of Australia’s most adventurous producers working with a beloved book. SYNOPSIS – This powerful documentary from a former Israeli soldier offers an insider’s view of military ethics and the military mind. It is an astonishing and brave wakeup call for armed forces around the world. CITATION – A hard-hitting insider’s view and critique of the Israeli army, providing a very important questioning of militarism that is of universal relevance. This essay film by a former Israeli soldier discusses the ethical dilemmas faced by many soldiers worldwide, facing the gap between morals and the practice and survival of combat. SYNOPSIS – Based on a true story, this drama from the Republic of Georgia explores the consequences of random acts of violence inflicted on civilians by armed authorities. From the remarkable writer-director, Mariam Khatchvani, this personal story highlights a universal problem about arbitrary law enforcement and officials that manipulate the law for their own gain. CITATION – A personal case study that addresses a universal issue in society today. The lack of control of violence of those in power who are assigned to keep the peace. BRISBANE/SINGAPORE, NOV 24, 2017: The Asia Pacific Screen Academy and the Motion Picture Association (MPA) announced the recipients of the eighth round of the MPA APSA Academy Film Fund during the 11th Asia Pacific Screen Awards Ceremony in Brisbane. In 2017, a total of 105 projects were submitted by 83 different APSA Academy members from 34 countries and areas across Asia Pacific and beyond, representing the truly global reach of APSA Academy members. The first completed film, from the inaugural round of the Fund in 2010 was Asghar Farhadi’s A Separation which went on to win almost 50 awards internationally including an Oscar®, Golden Globe®, Golden Bear and APSA for Best Film. 2011 MPA APSA Academy Film Fund recipient Maryam Ebrahimi’s No Burqas Behind Bars was recognised worldwide, winning awards at the major festivals around the globe, including the biggest TV award in Europe – the Prix Europa Award for the Best TV Documentary and an International Emmy Award. Shawkat Amin Korki’s Memories on Stone began its development as a 2011 Fund recipient and since completion, has garnered more than a dozen international awards including the 2014 APSA UNESCO Award. The film had an official screening at UNESCO Headquarters in Paris, at the MPAA headquarters in Washington and is Iraq’s official submission for the 88th Academy Awards® for the Best Foreign-Language Film. Chair: Andrew Pike O.A.M. is a legend of the Australian film industry. He is an award-winning documentarian, as well as a film historian, author and the founder of Ronin Films, responsible for helping to bring films such as Strictly Ballroom and Shine to the world. Indian actress Tannishtha Chatterjee who returns to APSA having served on the 2010 International Jury and host of 2011 APSA ceremony. Often referred to as the Princess of Parallel Cinema for her work in Indian cinema and is one of the nation’s most recognised stars. Chinese film producer and distributor Alexandra Sun. Alexandra helped distribute many award-winning Asian films including Song of Tibet and iconic Japanese animation Jin-Roh: The Wolf Brigade. As a producer she helped bring Li Yang’s Blind Mountain to life, which played the Cannes Film Festival and Sonthar Gyal’s River, which won the APSA for Best Youth Feature Film and played the Berlin International Film Festival.